Thanks for the extra promo, Catherine and Moosie! 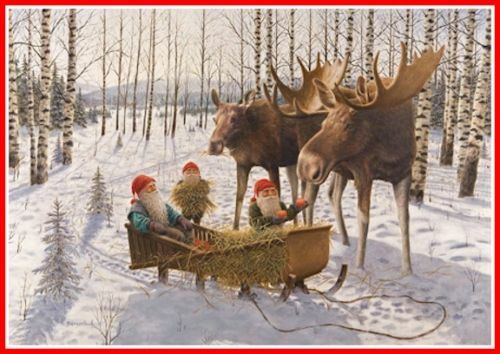 And I LOVE that moose painting with the gnomes, or Santas, or beaded elves, whatever - lol. Happy holidays and sales! Treats wishes to Sir Moosie from Sir Gonze! Thanks for sharing the countdown post here on your blog Catherine! Thank you for the extra promotion, Catherine. Treats to Seamus from the gang.